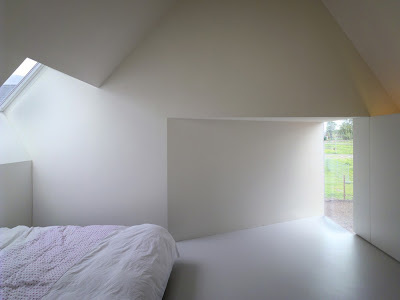 This house in the Utrecht achieves something I personally find amazing. 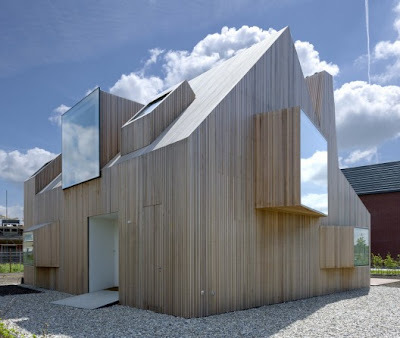 Besides the exterior (the wood is gorgeous) and interior aesthetic beauty, the use of light is incredible. I love natural sunlight, makes me feel warm and happy, and I like to live with it. The window design and the wall design allow the sunlight to play an integral part in this home. The minimalist white walls add to that warmth and the subtle angles allow for light to make certain areas glow with energy. 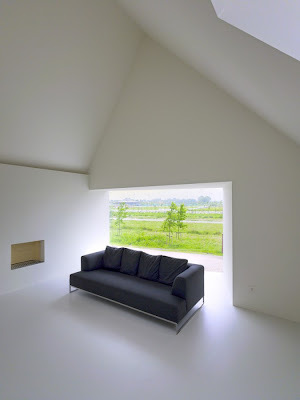 This house, in its subtly and simplicity, achieves a lot.